The Archos Carbon 97 Tablet features 9.7-inch Capacitive 5 point multi-touch IPS display with 1024 x 768 pixel resolutions and is powered by 1 GHz single-core ARM Cortex A8 processor with 1GB RAM. 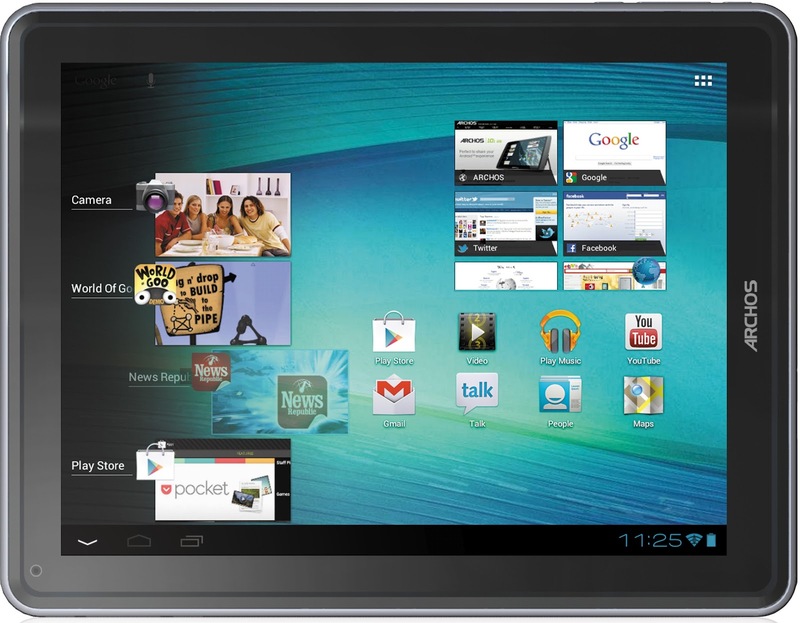 The Carbon 97 Tablet runs on Android 4.0 Ice Cream Sandwich OS and has 16GB of storage which can be expandable up to 48GB with a microSD card. It weighs 620 gms and measures 11.5mm thick. Archos Carbon 97 sports 2MP rear camera and 0.3MP front-facing web camera. Connectivity & Expansion options of Carbon 97 includes WiFi, mini-HDMI port, Micro USB port, USB 2.0 port, 3.5mm audio jack. Other features includes microphone, G-sensor, sleek aluminum body, Google Play™, Google™ apps. It comes with a Li-Po battery which claims a back up of 8Hrs Video playback & 20Hrs Audio playback. 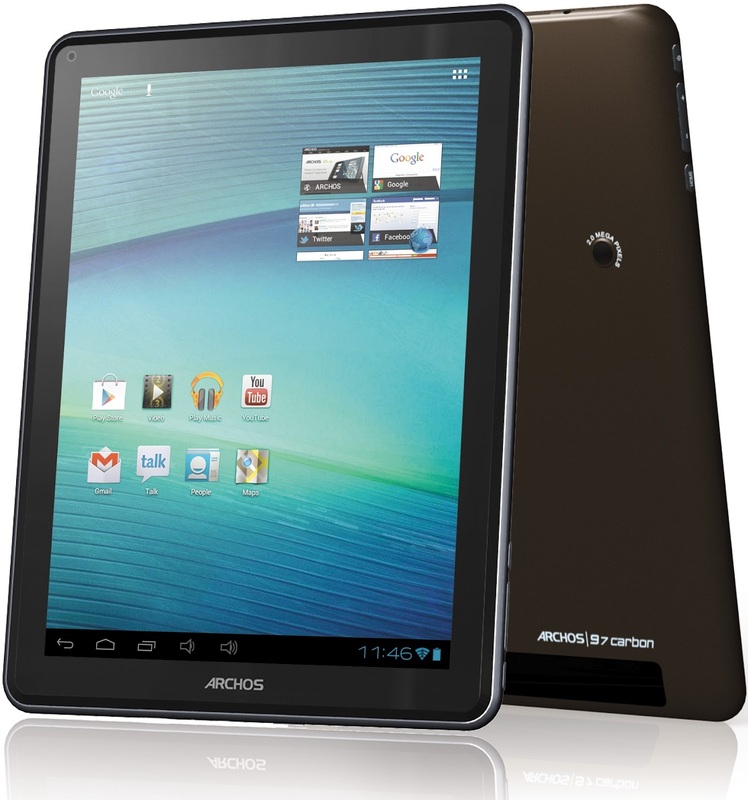 The Archos Carbon 97 Tablet comes with a price tag of $250 USD. Tags:Archos Carbon 97, Archos Carbon 97 features, Archos Carbon 97 specifications, Archos Carbon 97 review, Archos Carbon 97 details, Archos Carbon 97 availability, Archos Carbon 97 specs, Archos Carbon 97 images, Archos Carbon 97 pics, Archos Carbon 97 pictures, Archos Carbon 97 price.